I loved this little toys when I was a wee kid. 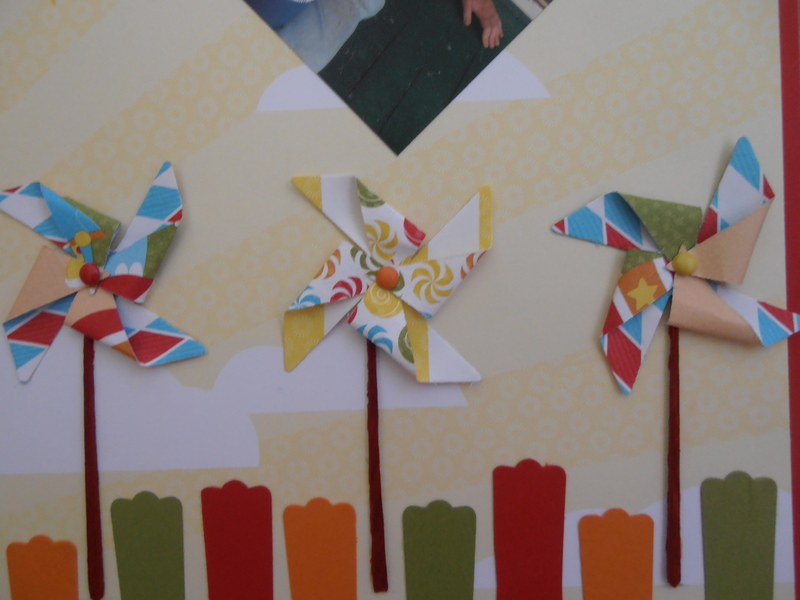 I remember my parents buying my first pinwheel which was plastic and pinned to a long wooden skewer. I remember I was at the Lismore Show and I was allowed a doll on a stick or a pinwheel. I chose the pinwheel. It took me ages to choose just the right colors that would whirl in the wind and make this amazing pattern. (so much more sensible, to me, than a stupid Kewpie doll on a stick!!!). 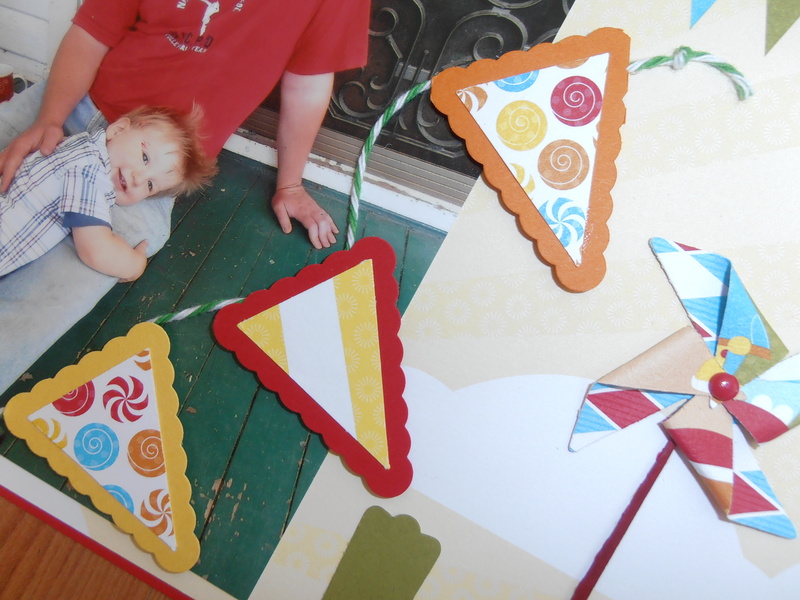 Well SU have released a new Sizzlet die for a cute little pinwheel. It loves to be on cards and scrap pages. Here I have done a SLO of my son Tony and grandson Xavier (I’m not too sure about it but I think Xavier loves his daddy big much). The DSP in this LO is now discontinued (Under the Big Top) however I’ve thought that it worked well with these pics and teamed it with the Petite Pennants Builder Punch. Here is the star of the page. A close up of the Pinwheel Die. How stinken’ cute are they???? So have you guessed what I’ve used to replicate a type of ‘fence’ along the bottom of the page? It’s the Modern Label punch, cut in half. Brilliant! 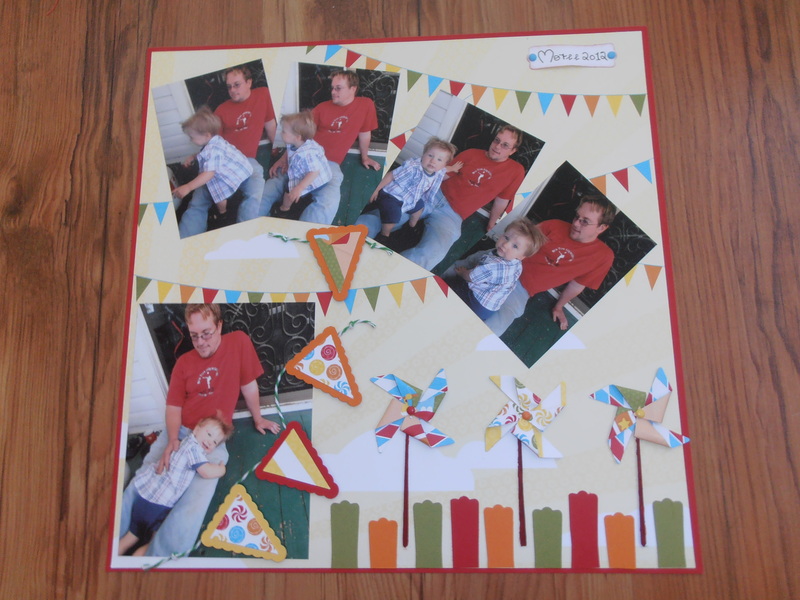 Get those punches out and start creating, not just on cards but scrap pages as well. Remember! Sale-a-bration finishes this Friday (23/3/13). If there’s something that you are wanting for free, then call/email me your order and I’ll have it delivered to your door!!! !